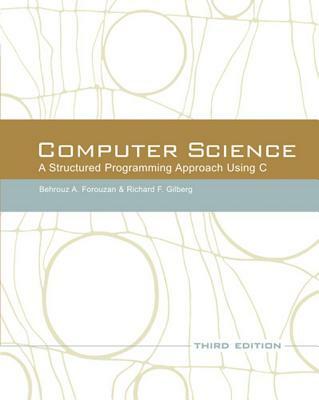 2The third edition of Computer Science: A Structured Programming Approach Using C continues to present both computer science theory and C-language syntax with a principle-before-implementation approach. Forouzan and Gilberg employ a clear organizational structure, supplemented by easy-to-follow figures, charts, and tables. The new edition has been thoroughly updated to reflect the new C99 standard, and includes a revised chapter sequence to better aid student learning.